Every Catholic child needs a record of his precious early years. Great as a baby gift! This beautifully illustrated baby record book is filled with pictures of darling little angels and innocent little children. 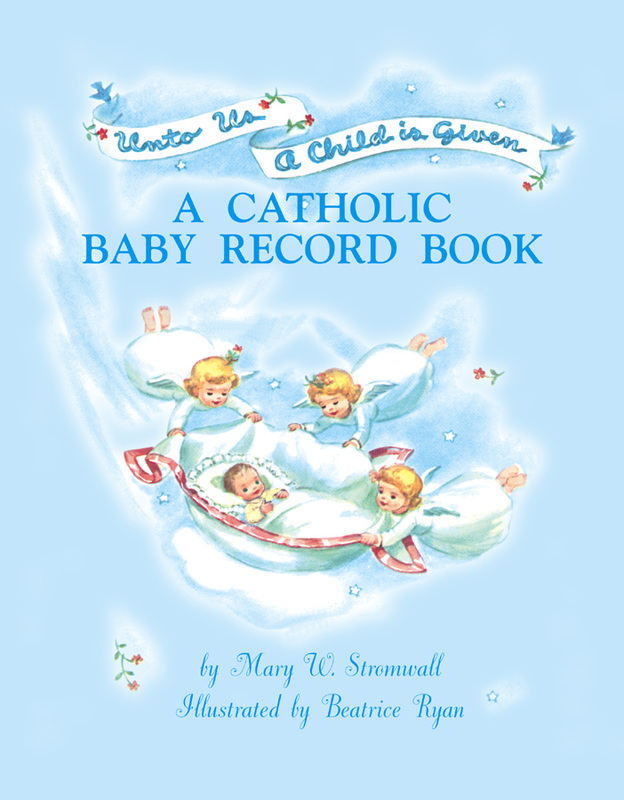 Includes places to record: birth and name details, baptismal facts, family tree, First Confession, First Holy Communion, early acts of cooperation, courage, generosity; names of family members, Brown Scapular enrollment, first smile, first tooth, first step, first word, etc. Includes spaces to attach photos, and pages for footprint, handprint, and other special memories! Perfect for Grandparents to give to help young parents pass on their Catholic heritage! This spiritual classic which has sold millions worldwide is now available as an MP3 Audiobook! Beautiful and edifying, this recording tells the story of St. Therese, using the exact text of her autobiography, Story of a Soul. Teaches St Therese's "Little Way" of Spiritual Childhood. Nothing is left out -- completely unabridged. Read, recorded and edited by professionals in their respective fields, this 7 1/2-hour Audiobook is of the highest quality. Time will fly as you listen to the charming story of Therese Martin as she is guided by God's grace to become the Little Flower we all know and love. Makes an excellent gift! This MP3-CD will surprise, inspire and edify anyone who listens to it! Dressing with Dignity. In this ground-breaking book, Colleen Hammond challenges todayÁs tawdry fashions and provides you the information you need to protect yourself and your loved ones from the onslaught of tasteless, immodest clothing. She explains that there is a difference between dressing attractively and dressing to attract. Colleen Hammond shares real-life examples of how women can accentuate the grace and beauty of their femininity, and she shows that ËmodestÓ definitely does not mean ËfrumpyÓ!! DRESSING WITH DIGNITY covers it all . . . ‰ The history and forces behind the changes in fashion. ‰ How to talk to teenagers about the privilege of femininity so they will want to dress with dignity. ‰ How to awaken chivalry in men and be treated with respect. ‰ How to regain and teach the lost charm of interior and exterior femininity! ‰ How to dress in an attractive, dignified, classy manner! ‰ Specific documents about manners of dress from the Magisterium, the Popes and the Saints. ‰ Comprehensive guidelines for choosing tasteful attire. ‰ Resources on where to find beautiful, modest clothing. ‰ And much, much more! Given the circulation it deserves, DRESSING WITH DIGNITY has the potential to rout the fashion worldÁs penchant for giving women little choice of chic yet modest attire a world which till now has literally treated generations of women with disgrace. The authorÁs refreshing insights will help you adopt a dignified and God-like approach to dressing and defy the world of indecent fashions! The help uou need to win the battle against indecent fashions! "The world will be faithless and degenerate after the birth of the Anti-Christ."